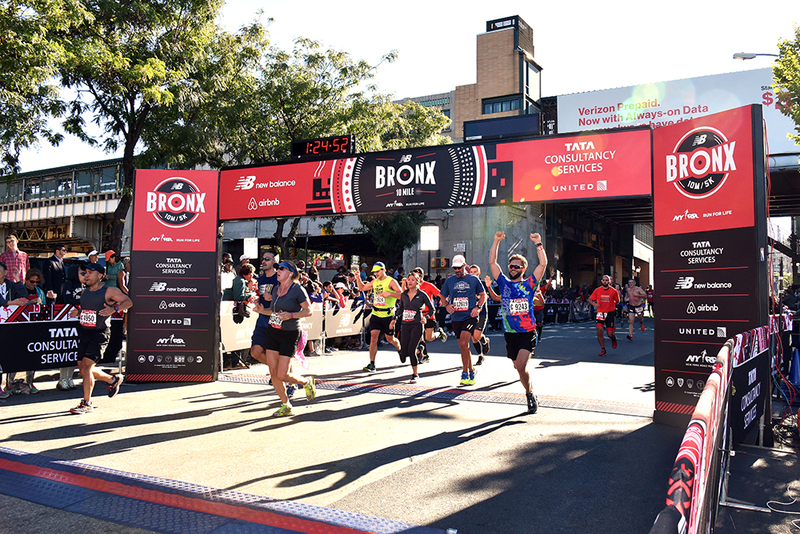 It’s almost time to boogie down at the #NBBronx10M, and it’s going to be incredible. Get familiar with these race-day logistics, and read our warm-weather running tips to ensure a strong finish is your biggest concern come race day. GET YOUR BIB—AND GET IT EARLY! If you haven’t pick up your bib before race day, bib pickup will be available at the finish area in Macombs Dam Park from 6:30 to 7:30 a.m.
We strongly recommend public transportation. Check mta.info/weekender for the latest updates, follow @NYCTSUBWAY on Twitter and register for text alerts. 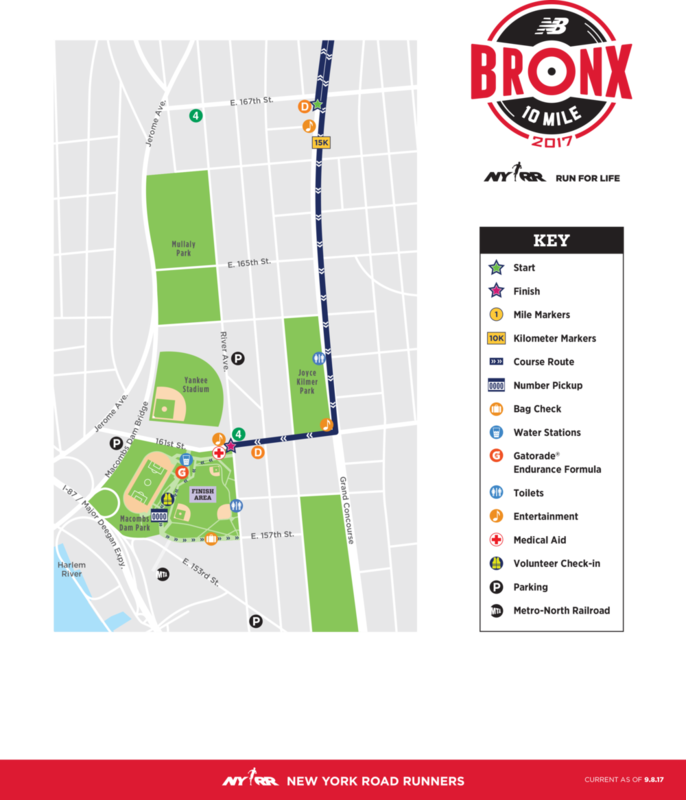 Please note that number pickup and bag check are located 0.9 miles (about a 20-minute walk) from the start (see map below). Plan your transportation based on what you need to do before entering your corral. Plan to arrive at the finish area in Macombs Dam Park by 6:30 a.m. Take the 4 or D train to 161st Street. Your checked bag must be the clear plastic bag with the bib tag affixed. Go straight to the start: Take the 4 or D to 167th Street and McClellan Street. Plan to arrive by 7:15 a.m. If you decide to drive, parking is available at the following locations in the Bronx. Payment via card only. Will receive a medal and a Recovery Bag Presented by Hospital for Special Surgery, which includes Snyder’s pretzels, an apple, a PowerBar protein recovery bar (20g), Gatorade, and Poland Spring® brand water. Are invited to stop by the HSS Recovery Zone to stretch out with help from one of Hospital for Special Surgery's expert physical therapists. 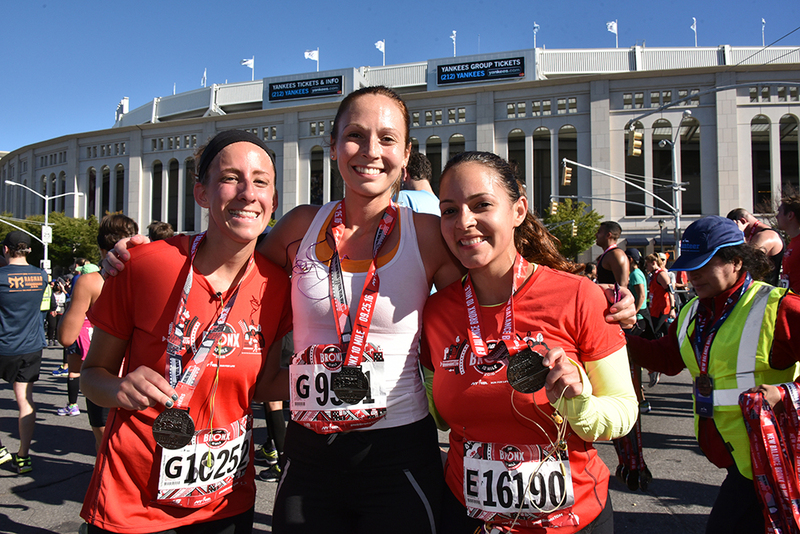 Can shop for official New Balance Bronx 10 Mile merch—don’t forget a card or cash. The finish area is for runners only. Claim your checked bag until 11:30 a.m.
Live unofficial results and map tracking are available during the race at liveresults.nyrr.org and in the NYRR app. Tell your friends and family to follow your progress, and get unofficial results right after the race. Visit nyrr.org on race day for amazing coverage and photos.